KPT have been manufacturing & designing mould tools for over 29 years, so we have immense experience in optimising component and mould tool designs to achieve the best toolmaking results. 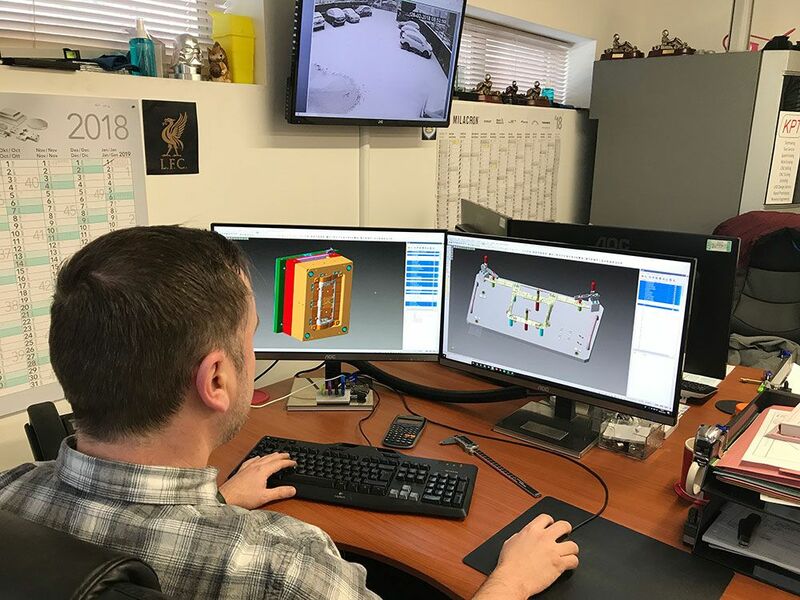 We use the latest Vero Visi Series CAD software to support us with our mould tool design process, and can offer computerised filling and solidification simulation (Moldflow) where required. Moldflow is used to ensure that all parties agree the feeds, cycle times and flow patterns are acceptable. Our team offers in-house product and component design for product prototyping, product design, injection mould tool design, CAD/CAM programming and optimising existing customer CAD models. We can take your basic ideas or sketches and produce 3D CAD models. We can provide these models in any file format of your choice. We can also provide photo quality images of your proposed injection moulded products to use in marketing presentations or advertising. Contact us for more information on our injection mould tool design & cad services.